Quick Offers so that a customer can quickly choose and order really FAST. 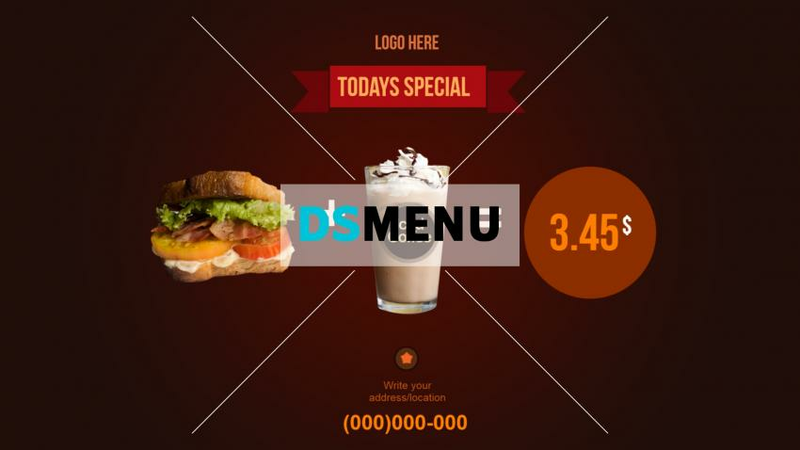 Attractive graphics of the menus so that the customer feels like ordering. Coffee shop Ambiance. "Technology" has an answer to address these. The concept is called Cloud based "Digital Menuboards" Application like DSMenu. The cloud based digital menuboards Apps provides the platform where a coffee shop owner can quickly make offers and sells through the display screen. From menuboard design to publish/broadcast in less than 2 minutes is possible using these Apps. The Apps helps in upselling of menus. This is "The" most important reason why coffee shop owners are moving towards digital menuboards. These cloud based digital Menuboard Apps. comes with beautiful templates and "graphics" options for users(coffee shop owners) to choose from. 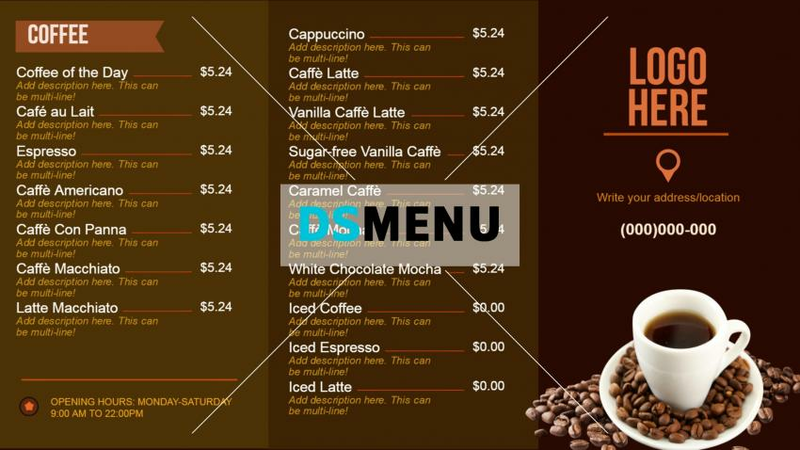 Cloud based digital Menuboard Apps allows coffee shop owners to import their own graphics on the menuboard and display. The menus becomes more authentic. Customers feels good when they see what they ordered is exactly what they god. This is possible through the digital Menuboard Apps. As ambiance plays an important role in customer retention, coffee shop owners are not putting beautiful display screens around the coffee shop with attractive contents/menus/offers. Cloud based digital Menuboard Apps provides a dashboard from where a coffee shop owner can control multiple menuboards from a single place. A special privilege for chain owners: Cloud based digital Menuboard Apps. provide a platform from where multiple menuboards at multiple location, anywhere in the world, can be controlled from a single place. This is "The" factor why large restaurant chains are quickly moving towards Cloud based menuboard solution. Finally: From now on, Coffee shop owners doesn't need designers to design their menuboard. Digital menuboards empowers your with a tool to design it yourself. Click Here to try an "unique" Cloud based digital menuboard App.